The first subject we'll cover in this guide is the basics, so ship types, slot counts, spawning and more. 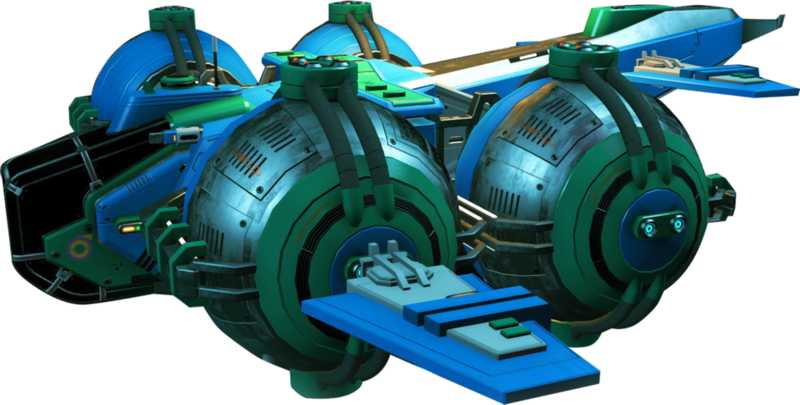 There are 5 types of Starship in No Man's Sky, each with their own vast array of parts and combinations. Shuttles are about the most common of all the types and as expected, they are the least favourable. As the name suggests they look clunky, weak and lacking in style. Their bonuses are generally balanced but also very low and their costs reflect this mediocre description. We'll go into great detail on the potential slots and Bonuses for all types shortly. 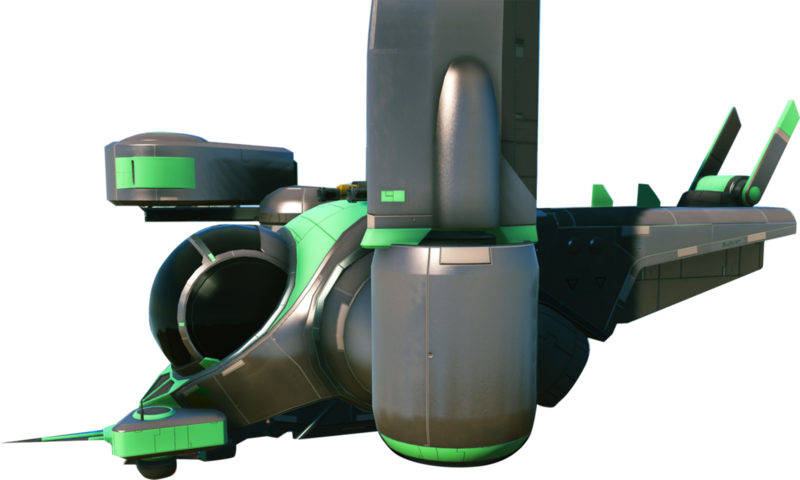 Then there are Explorers, these ships are known for being tied to the Korvax race, they are very stylish in their classic sci-fi appearance and tend to have large engines with cockpits that suggest the owner is mostly interested in viewing what is around them. Their bonuses lean heavily toward its Warping capabilities, giving an overall buff to hyperdrives with a standard buff to shielding. A Dart-Nosed Fighter (My personal favourite). Fighters are another type which are connected to the Vy'keen. They tend to be very sleek and cool, with a design that points toward maneuverability and firepower. Their bonuses lean heavily toward Damage with a standard buff to shielding. A rather swish looking Ball Hauler aka “Baller”. Then Haulers, which as the name suggests are primarily focused on the movement of materials. They are connected to the Gek race and have a very bulky appearance which can often look very nice, with cargo pods of many kinds attached to the nose and wings. Their bonuses lean heavily toward Shielding to protect their cargo with a standard buff to hyperdrives. One of the more common designs of an Exotic, though their appearance differ drastically even to the Squid Type. And the last of the types of Starship, are the Exotics. The exotics, also known as Royal within the files, are not connected to any race, they are certainly classed as a rare ship type, how rare exactly we will get into shortly. They have very beautiful designs from the squid type with striped patterns to the bug type with a lancer nose and gold trim. Their bonuses are the best of all with Damage that isn't too far off the best Fighter, Shields that match the best Haulers and a hyperdrive that matches the best Explorers. Those are the ship types, so let's go over the slots and exactly what each type can have and how to identify the possibilities.